On the surface, there’s not much that separates the 2016 FIAT 500 Abarth and the 2016 Hyundai Veloster, but there are significant differences that you should be aware of. Read on to learn more about what makes the 2016 FIAT 500 Abarth stand out and then see us for a test drive at FIAT of Tacoma! 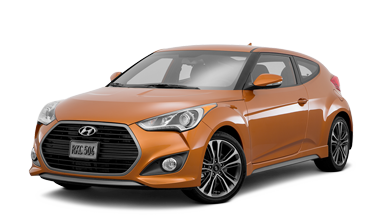 A big difference between the 2016 FIAT 500 Abarth and the Hyundai Veloster is size – the Hyundai Veloster is 22″ longer and up to 7″ wider than the FIAT 500 Abarth, making the Abarth the nimble choice for city dwellers. Urban drivers will also love the the smaller wheel base of the FIAT 500 Abarth, making for a tighter turning radius when it’s needed most. The biggest difference between the 2016 FIAT 500 Abarth and the Veloster is fuel economy. The EPA estimates that the FIAT 500 Abarth can achieve up to 28 MPG in-town, which beats the Veloster’s 25 MPG estimate. The Abarth also wins on the highway, which means that you’ll save money in the long run by choosing FIAT over Hyundai. Alloy wheels, manual transmission and all-season tires are standard equipment on both the Abarth and the Veloster. Safety and security is just as important to FIAT as it is to you! The top-of-the-line 2016 FIAT 500 Abarth features a convex spotter mirror on the passenger side designed to improve visibility and your overall safety while driving. To help other drivers see you, the 2016 FIAT 500 Abarth includes daytime running lights and front fog driving lights as a standard feature, which are merely optional on the 2016 Hyundai Veloster. Another convenient safety feature of the Abarth is a tire-specific tire pressure monitoring system that you won’t find in the Veloster. 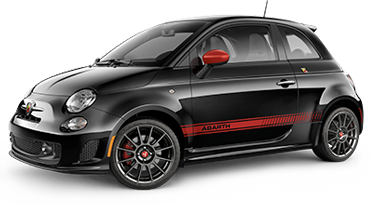 Visit Us at FIAT of Tacoma to Check Out the new FIAT 500 Abarth Today! Here at Alfa Romeo and FIAT of Tacoma, we pride ourselves on providing superb customer service so you can drive away happy! We offer a wide variety of exciting new FIAT vehicles available for sale or lease. Also, with our consistently updated special offers, you can save on the brand new FIAT that perfectly fits your lifestyle. We also offer an impressive selection of quality used and certified pre-owned vehicles. Call us today at (253) 830-5700 with any questions or to schedule a test drive. We’re located at 3740 S Tacoma Way, Tacoma, WA 98409, worth the trip from Kirkland or Federal Way, WA. We look forward to serving you at Alfa Romeo and FIAT of Tacoma!